1. To preserve it, all of the crushed pink granite that paves the driveway at Skylands is collected in the fall and stored until spring. 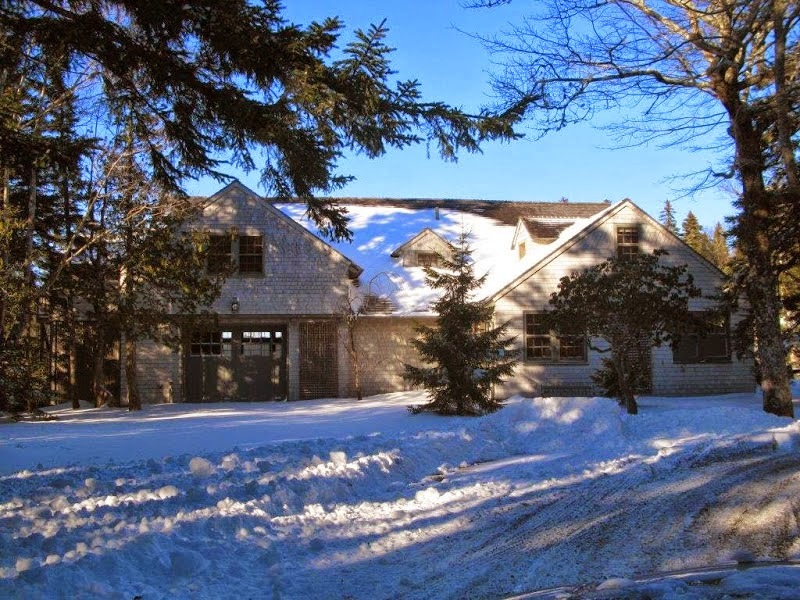 Much of it would be damaged by snowplowing. 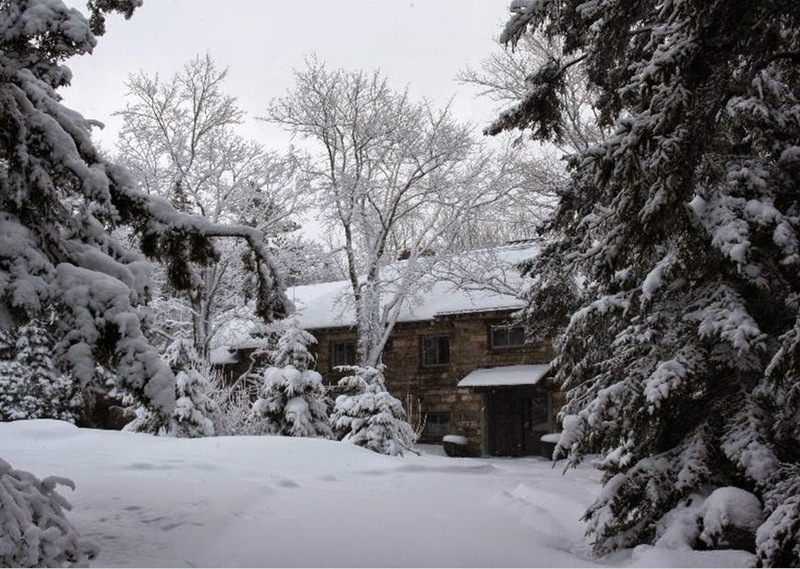 In this photo, the main entrance to the house is almost entirely obscured by snow! 2. 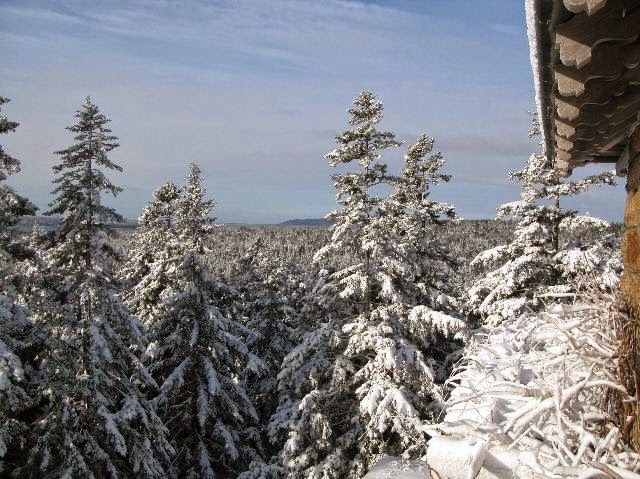 A view outside one of the bedroom windows of the coniferous trees on the 63 acre property laden with a fresh layer of snow. 3. Duncan Candler also designed the stables, shown in this photo. 4. 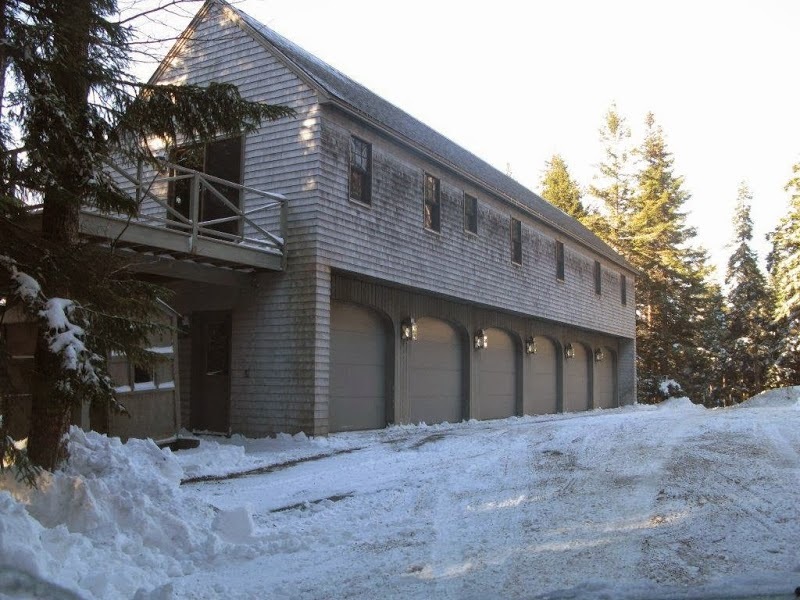 The garages at Skylands are capped by a large and fully-appointed apartment above. 5. 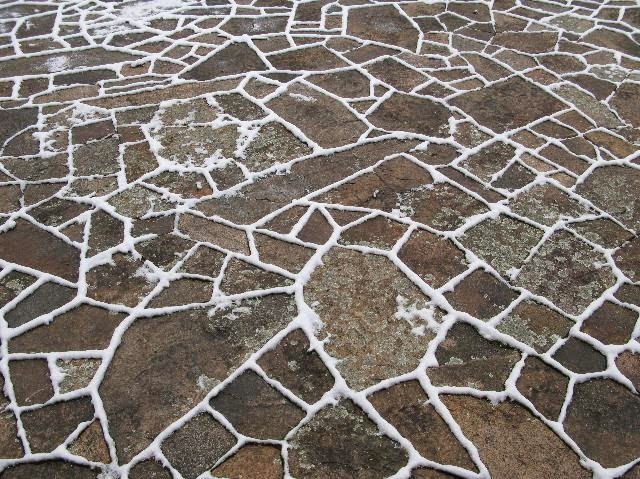 Duncan Candler designed the back terrace at Skylands by configuring stone slabs to look like cracked ice. His vision is certainly made clear in this photo! 6. 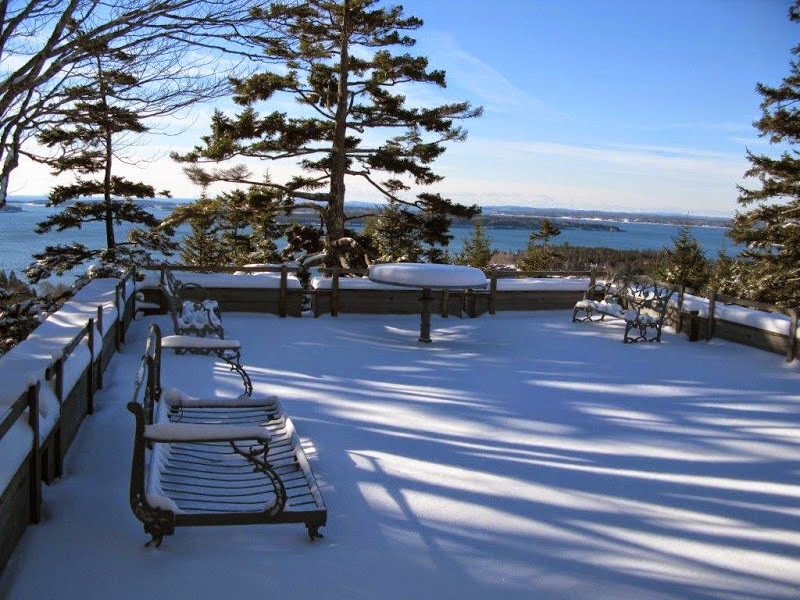 Another view of the back terrace completely covered in snow. 7. 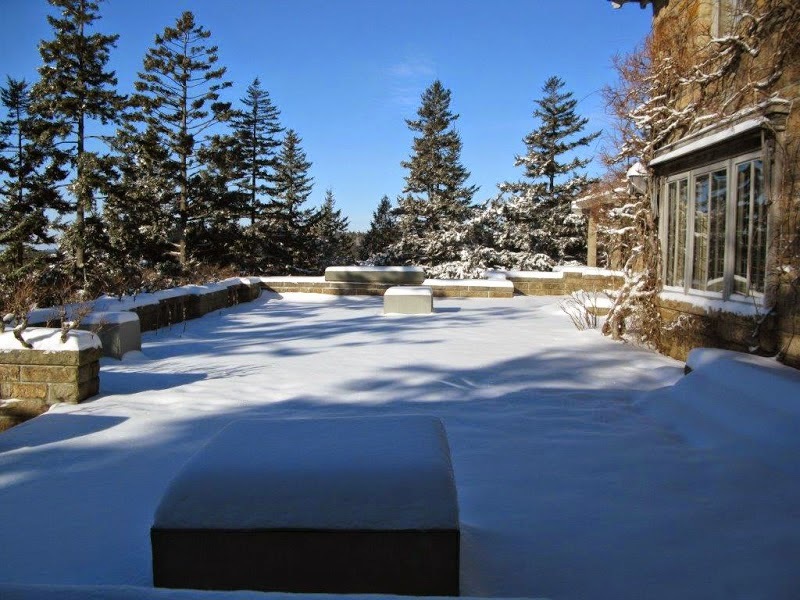 The terrace outside of Martha's bedroom at Skylands looks inviting even in the winter. 8. 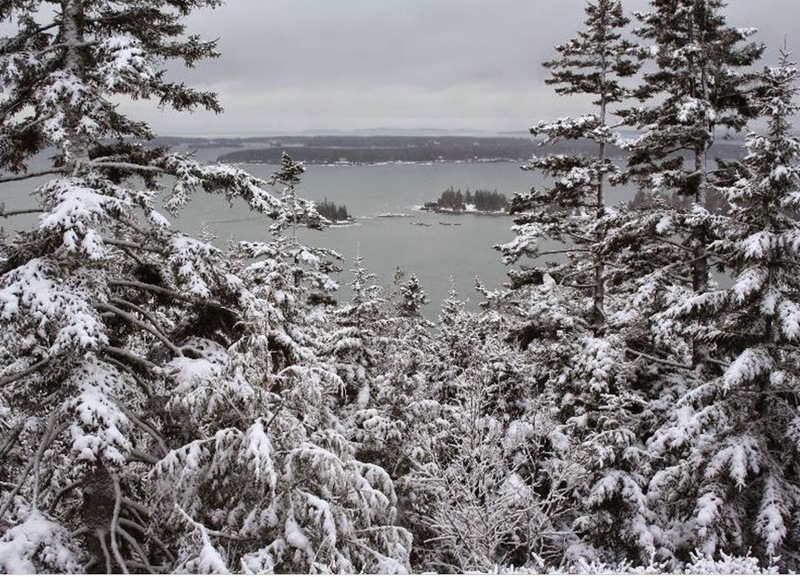 Another view of snow-covered pines, looking out to the harbor from the terrace. 9. 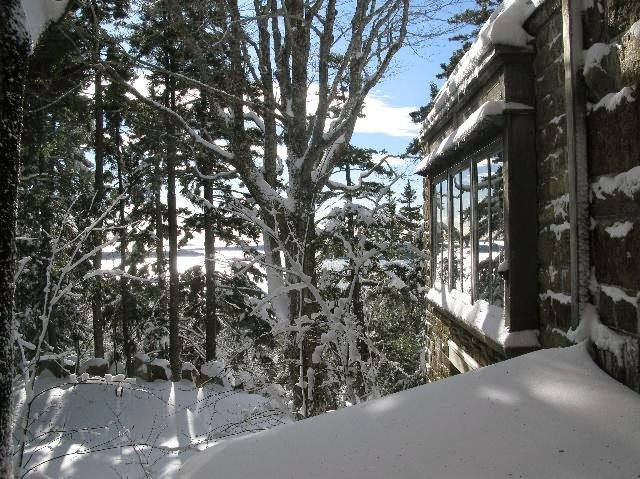 One of the dining room windows catches the reflection of the shadowy woods. 10. 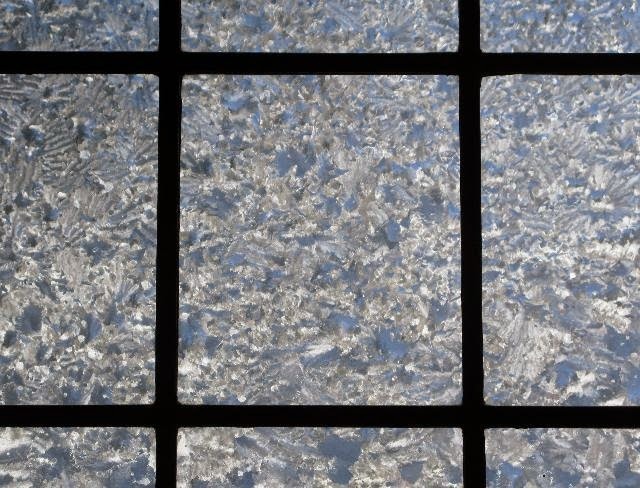 Frost on the leaded-glass windows in the parlour. 11. 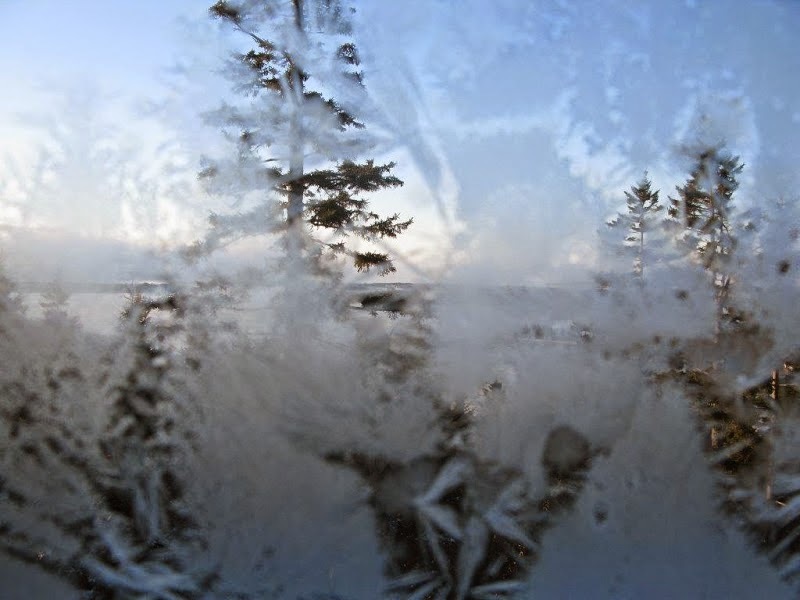 Frost on one of the bedroom windows. 12. 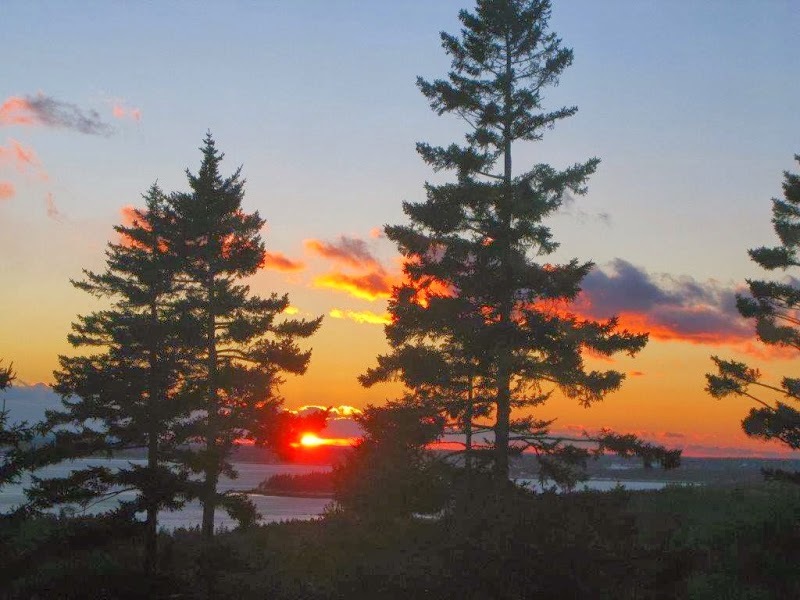 A glorious winter sunset viewed from the terrace. There are some Martha Stewart Living " classic " videos available through the MS web site ( on various subjects). My question is , would anyone know how to search for specific videos? I occasionally find one I am looking for , but it is only by chance and difficult to revisit! I find searching for video content at marthastewart.com is easiest when it is by subject. I don't think there is a way to search by air date or by show type: The Martha Stewart Show vs. Martha Stewart Living vs. Cooking School, etc. It's all sorted by content. But if anyone else has a secret, do share!! Gorgoeus photos of Skyland in winter, we usually see photos in the summer. I love the architecture and amazing landscape, wow beautiful in winter. PS I usually type: tv show videos with the word ex Christmas ( tv show videos Christmas), or Valentines day, Easter, ect... in the search box and I find lots of videos. Thank you both, but while this will seem like a doppy question, where is the the search box located on the marthastewart.com web site? Since the format was changed, aprox 2 years ago, I have had to depend o the Google search for specific items. While searching through Google , I did find one TV segment, from the original MSL show , which I was looking for. Give yourself a treat and watch. Unfortunately the quality is not great, but it is very creative ( NYC Martha Stewart Sony Windows ).